These candy filled gumballs are GIANT! There are many different flavors included and they are all hollow in the middle. 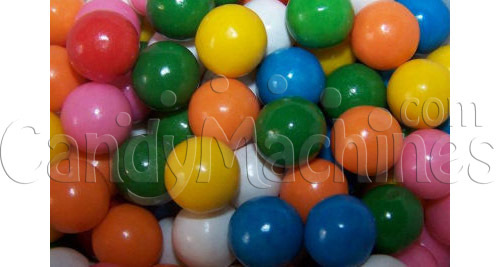 Although they are gum balls, their large size will only allow them to vend in 2" toy capsule vending machines. 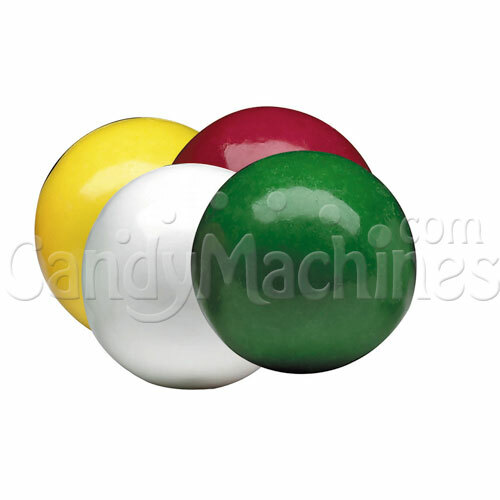 Gumballs like these are great every day or for parties and events. With 7 vibrant colors and 6 fun flavors there's always going to be a great selection. The flavors included are Tutti Frutti (White), Banana (Yellow), Orange (Orange), Cherry (Pink and Red), Watermelon (Green), and Grape (Blue). 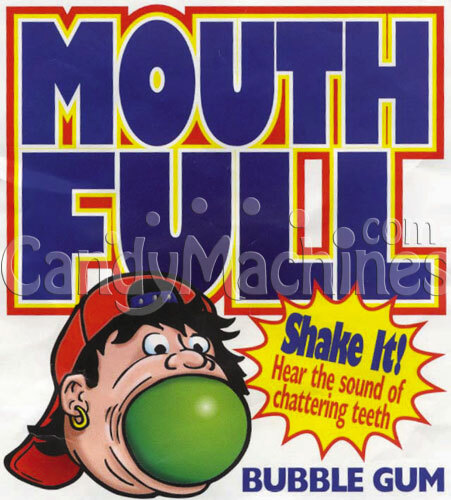 Be sure to see our full line of gumball machines if you're looking for a vending machine to dispense this gigantic gum.